A boy coming of age in a time of war…the love that inspires him to survive. For ten year-old Jeremiah Prins, a life of privilege as the son of a school headmaster in the Dutch East Indies comes crashing to a halt in 1942. When the Japanese Imperialist army invades the Southeast Pacific, and his father and older stepbrothers are separated from the rest of the family, Jeremiah takes on the responsibility of caring for his younger siblings. But he is surprised by what life in the camp reveals about his frail, troubled mother—a woman he barely knows. Amidst starvation, brutality, sacrifice and generosity, Jeremiah draws on all of his courage and cunning to fill in the gap his father and brothers left behind. Life in the camps is made more tolerable as Jeremiah’s boyhood infatuation with his close friend Laura deepens into a friendship from which they both draw strength. When the darkest sides of humanity threaten to overwhelm Jeremiah and Laura, they reach for God’s light and grace, shining through his people. Time and war will test their fortitude and the only thing that will bring them safely to the other side is the most enduring bond of all. 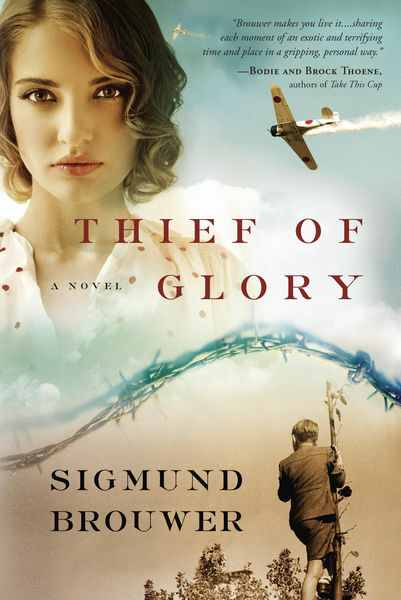 SusanSiegismund (Grade: A+) This is one one of the best books I've ever read. Such a well-written novel of tragedy and war.